Dress is gorgeous, a-line, strapless with a natural waist. Floor length. Gorgeous silk shantung taffeta. Additional piece of fabric included ($400 retail) which can be used to create a cape or over the top blouse. 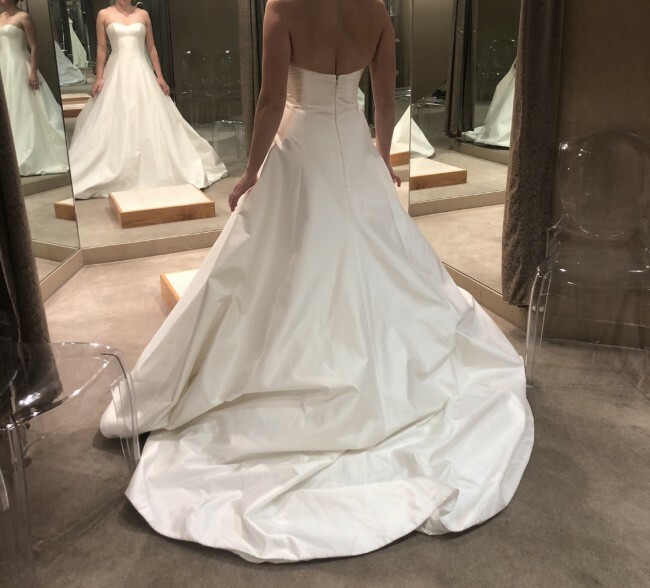 NEVER WORN OR ALTERED, all tags are still on the dress - I ended up purchasing another dress to better fit my venue, but still absolutely adore this one.